National University of Medical Sciences also known as (NUMS) is about to announce their registration dates for 2018-19 session in this week. Students from all over Pakistan can apply for this test, so it’s considered to be the toughest entry test for medical institutes. In order to secure a seat through this test student should come with full preparation. 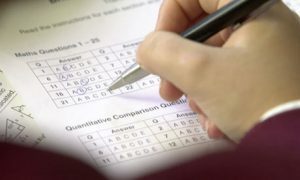 Main reason due to which students are unable to secure good marks in entry test is because of time management. This entry was posted in NUMS and tagged ABOUT NUMS, answers key for NUMS, Entry Test, entry test preparation, How to prepare for NUMS admission test, How to Prepare for Punjab MCAT, mbbs, MBBS admission, MBBS Admission Test, MBBS in Pakistan, mbbs merit list, NTS Chemistry, NTS Chemistry MCQ's, NTS English, NTS MCQs solved, NTS NUMS, NTS NUMS Test Answer Key, NTS Pakistan, NTS Past Papers, NTS Physics MCQ's, NTS Preparation Online, NUMS, NUMS 2018, NUMS Admission, NUMS BDS, NUMS BDS Admission, NUMS Biology MCQs, NUMS Biology MCQs with answer, NUMS Biology MCQs with solution, NUMS Blue Booklet answer key 2017, NUMS Blue Booklet answer keys, NUMS Chemistry MCQs, NUMS Chemistry MCQs with answer, NUMS Chemistry MCQs with explanation, NUMS Chemistry MCQs with solution, NUMS CRITERIA, NUMS English MCQ's, NUMS English MCQ's with explanation, NUMS English MCQ's with solution, NUMS Green Booklet, NUMS Green Booklet answer, NUMS Green Booklet answer key, NUMS MERIT, NUMS MOCK test, NUMS NTS Pink Booklet answer, NUMS NTS White Booklet answer, NUMS NTS Yellow Booklet answer, NUMS OFFERED PROGRAMS, NUMS Pastpapers, NUMS PATTERN, NUMS PATTERN IN PAPER, NUMS Physics MCQs, NUMS Physics MCQs with answer, NUMS Physics MCQs with explanation, NUMS REGISTRATION 2018-19 SESSION, NUMS registration dates, NUMS solved papers, NUMS test format, PROGRAME OFFERED BY NUMS on October 1, 2018 by Pakprep.com Admin. UHS application process is going to start from 10th November 2017 till 17th November 2017 for admission in Public sector medical colleges of Punjab for MBBS and BD. Application form and prospects will be available from 10th November 2017 and last date to submit application form is 17th November 2017. Registration for Hafiz-e-Quran will start from 10th November to 12th November 2017. UHS first merit list will be displayed on 29th November 2017.Camdidate appeared in UHS MCAT re-conduct test and having 83.4% aggregate can submit application form. www.pakprep.com provide complete preparation material for the preparation for Medical, Engineering, NTS, Army, NAVY and PAF. 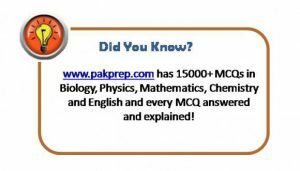 We have more than 15000+ fully explained MCQ’s which help students to get good marks in entry test. Here is the details for UHS application and prospectus. This entry was posted in MDCAT, UHS MCAT and tagged Best way to prepare for UHS MCAT, Changes in UHS MCAT Syllabus, chemistry mcat, chemistry mdcat, Dental Entry Test UHS, Dow University of Health Sciences (DUHS), download UHS MCAT Papers, download UHS MDCAT Papers, Download UHS Past Papers, FMDC MBBS Merit List, How to Prepare for Punjab MCAT, How to Prepare for Punjab MDCAT, how to prepare mcat, how to prepare mdcat, How to prepare Punjab Mcat UHS, How to prepare PUNJAB UHS Mcat, Important Biology Topics Punjab MCAT, Important Biology Topics Punjab MDCAT, Important Chemistry Topics Punjab MCAT, Important Chemistry Topics Punjab MDCAT, Important Chemistry Topics UHS MCAT, Important English Topics Punjab MCAT, Important English Topics Punjab MDCAT, important mcat topics, important mdcat topics, mbbs, MBBS 2016, MBBS 2017, MBBS admission, MBBS admission 2016, MBBS admission 2017, MBBS Admission Test, MBBS Admission Test 2017, MBBS in Pakistan, mbbs merit list, MBBS Seats in Punjab, MCAT, MCAT entry test, MCAT Merit list, MCAT New Syllabus, mcat score, MCAT test, MDCAT, MDCAT 2017, MDCAT Biology, MDCAT Biology explained MCQs, MDCAT Chemistry, MDCAT Chemistry explained MCQs, MDCAT English MCQs, MDCAT English syllabus, mdcat format, mdcat mcqs, MDCAT Merit list, MDCAT New Syllabus, MDCAT Physics, MDCAT Physics explained MCQs, mdcat result, mdcat score, MDCAT solved MCQs, New UHS MCAT Syllabus, Past Papers UHS MDCAT, Preparation of Document for UHS MCAT, punjab mcat, Punjab MCAT 2016, Punjab MCAT 2017 Syllabus, Punjab Mcat format, punjab mcat merit list, Punjab MCAT Past Papers, Punjab Mcat result, PUNJAB MCAT Score, Punjab MDCAT Biology MCQs, Punjab MDCAT Chemistry MCQs, Punjab MDCAT Physics MCQs, Punjab UHS MCAT, Punjab UHS MCAT Syllabus, Punjab UHS Medical Test, punjabmcat, Sindh MCAT 2017, solved UHS MCAT MCQs, Solved UHS MCAT past papers, UHS, UHS Admission, UHS Admissions, UHS Biology MCQs, UHS Chemistry MCQs, UHS English MCQs, UHS English Syllabus 2017, UHS Entry Test, UHS Fee, UHS MCAT, UHS MCAT 2017, UHS MCAT Aggregate Score, UHS MCAT Biology MCQs, UHS MCAT Dates, UHS MCAT MCQs, UHS MCAT Online Preparation, UHS MCAT Preparation, UHS MCAT result, UHS MCQs, UHS MDCAT, UHS MDCAT Entrance Test, uhs merit list, UHS Punjab MCAT Syllabus, UHS result, UHS Test format, UHS test result on November 7, 2017 by Pakprep.com Admin.